"Researchers found that three months after a visit to the doctor, those patients whose doctors talked about diet and weight loss in a more motivational fashion using predominantly reflective or empathic statements — were much more likely to lose weight, compared to those whose physicians used a more judgmental or confrontational style of communication. Patients whose physicians communicated well lost about 3.5 pounds three months after the visit, which is substantial given most overweight and obese patients gain weight over time. Read the full article." Interesting. 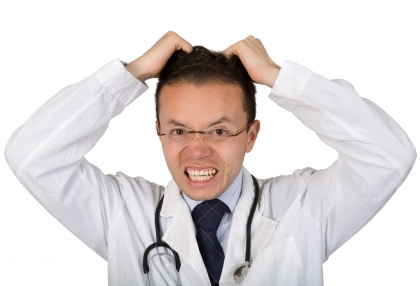 A judgmental and confrontational style of communication style of doctors seems to work counterproductive.